Home » Safety Training » Employee Orientation: Safety First! In 2014, 3 million non-fatal workplace injuries and illnesses were reported, and 4,679 workers were killed on the job in 2014. The National Safety Council reports that someone is injured on the job every six seconds. These injuries and illnesses are no laughing matter – they cost American businesses $250 billion each year in medical expenses and lost productivity. Those are some sobering statistics that should make any company think twice about not taking workplace safety seriously. In part, this is about what kind of attitude people take. The plain fact of the matter is that if you have a nonchalant or negative attitude about workplace safety, the result is almost always an increase in accidents. You can do all the training you want and provide all the right equipment, but if the attitude is lacking, your efforts may be in vain. Employees themselves may also resist safety orientation and training. Workers are frustrated at having to take time out of their jobs for it, and managers often feel like it’s a waste of time and don’t see the value – that’s where reminding yourself of the statistics above, including the cost to businesses, can come in handy. What company is going to say that safety isn’t a top priority? No company would say that, of course, but the proof is in the proverbial pudding. How robust is your company’s new employee safety orientation and training? Does your company even track any safety metrics? And if you do what are they? Some companies do track how many people get hurt and the severity of the injuries, but those are what could be called lagging indicators – tracking them doesn’t do anything to prevent the injuries in the first place. If you want a truly safe workplace, you should consider tracking what people do on a daily basis to prevent accidents. It’s also important to realize that workplace accidents and injuries aren’t confined to the realms of manufacturing and construction – quite a few take place in the office as well, from trips and falls to all kinds of repetitive motion injuries. No workplace is immune from workplace safety concerns. Talk about it. You have to communicate about it to even put it people’s radar screens, and it needs to be talked about at all levels of an organization. Solicit suggestions. You’d be surprised how many employees are aware of hazards you might not know about, and also have ideas on how to fix them. Providing a channel through which such suggestions can be made opens up opportunities for rapid improvement. Fix problems quickly. This one goes hand-in-hand with previous. When you find out about problems, act fast to resolve them – nothing is worse than doing nothing about a known hazard. You’ve got to show you care if you want employees to care about their performance. Provide robust training. Making workplace safety a priority is everyone’s business, but you’ve got to provide the tools and knowledge to your employees for them to be able to make a difference. It was the Occupational Safety and Health Act of 1970 in which Congress created the Occupational Safety and Health Administration (OSHA) to make sure employees everywhere have safe and healthful working conditions, which it accomplishes by setting and enforcing standards and by providing training, outreach, education and assistance. As a federal agency, OSHA falls under the United States Department of Labor. 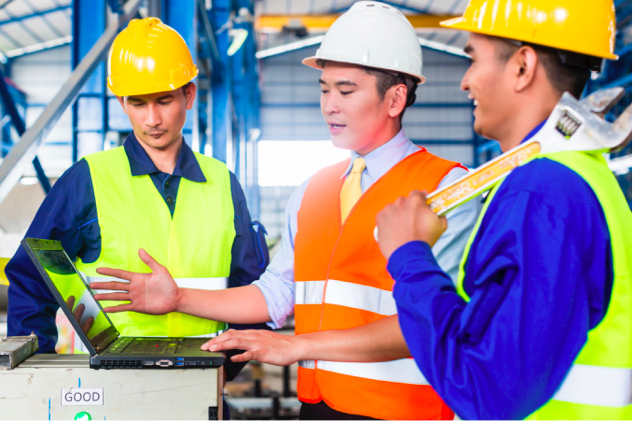 Orientation: New Employee Safety Orientation and Training (ID: NEO020) is an eLearning video course designed to introduce a number OSHA safe work practices and standards that relate to any work environment, as well as what to do when things go wrong.